Renowned spiritual leader Sri Sri Ravi Shankar, on Thursday, visited different relief camps in the flood-affected areas of Purnia and Madhepura in Bihar to bring solace to the survivors and take stock of the relief operations undertaken by the Art of Living. Sri Sri walked in knee-deep water for 3 km from Jankinagar in the Purnia district to Murliganj in the Madhepura district to interact with the victims. Sri Sri, who arrived in Purnia in the morning, counselled the victims taking shelter in the Jankinagar Phulwari camp, where the Art of Living is taking care of nearly 5,000 people. Later addressing a large gathering of 10,000 people from nearly 50 surrounding villages, Sri Sri advised them to maintain a positive outlook towards life despite the devastation. “Make best use of your stay in the camps under difficult circumstances. As it’s going to take some more time for the waters to recede and the rehabilitation process to materialise, utilise the time here to learn new skills,” he said. He announced that the Art of Living would provide vocational training to women in the camps. It has already started training in tailoring skills at the Jankinagar camp. Sri Sri also said the Art of Living would start a campaign to teach reading and writing to illiterate people staying in the camps. He extracted a commitment from the people not to practice female foeticide and to stop harassment of women. He announced that the youth of the area would be trained under the Art of Living’s Youth Leadership Training Programme so that they can shoulder the responsibility of rehabilitation in the area. Urging the people not to lose heart, Sri Sri cited the example of Nagapattinam, which was completely devastated by the tsunami in 2004, and now has been completely rebuilt. “See this devastation as the foundation of a new rebuilding,” he said. Many of the victims shared that they were feeling relieved after attending the trauma relief sessions offered by the Art of Living. Sri Sri also lauded the good work done by the Art of Living volunteers, particularly the doctors, who have come from different parts of India and abroad. Earlier in the morning, the District Magistrate of Purnia, C Sridhar received Sri Sri on his arrival. Within hours of the flood that has affected an estimated 3.5 million people, the Art of Living has been carrying out a multi-pronged relief operation in the flood-affected areas of Bihar on a war footing. In addition to providing emergency supplies and trauma care to the survivors taking shelters in various camps, the Art of Living is reaching out to more inaccessible areas as many villages are still submerged under water. The Bangalore-headquartered NGO has already mobilised and dispatched relief materials worth more than Rs 10 crore to Bihar. It proposes to raise another Rs 40 crore for the rehabilitation of the victims. • The enterprise would carry out the Packaging and Marketing of Processed Food Products (prepared in North Bihar) over Internet from its HQ located in Chandigarh or Bangalore or in some other suitable city in India. • In the final stage, Food Parks of the enterprise (in North Bihar) would provide packaging and marketing facilities to Registered and Licensed Food Processing Units (FPUs) of the locals in the 24 districts of North Bihar. (a) Provide assistance to interested locals in North Bihar in the required Govt procedures concerning the registration and licensing of their FPUs. (b) Provide financial assistance to interested locals in North Bihar (if required) for raising their FPUs on researched Legal terms after the necessary background checks. (c) Suggest possible products to the FPUs, and their ideal methods of preparation. (d) Package the products of the FPUs (attractively) in the various Food Parks of the enterprise (in the presence of the representatives of the FPUs). (e) The Food Parks (BPFPs – Babu Pali Food Parks) of the enterprise would handle the Storage of the products of the FPUs, and their onward supply to destinations given by the HQ (over Internet). (f) The enterprise would carry out the packaging and marketing (sale) of the products of the (registered and licensed) FPUs – of the locals in North Bihar – FOR DECIDED PROFIT PERCENTAGES; all activity being computerised. (g) The confidence of the locals in North Bihar towards entrepreneurship (that is starting their own enterprises) would be raised by conducting Nav Chetna Shivirs by the Bihar chapter of the AOL. (h) Attention of the locals in North Bihar would be taken towards agriculture related entrepreneurship and they would be encouraged to produce items like Sattu, Daliya, Cornflakes, Chips and Sauces of all types, Soft Drinks including Fruit Juices and other products (like of ‘Makhana’; ‘Singhada’, etc). (i) The BPFPs in North Bihar would be raised in identified, flood free areas revealed through Satellite photo analysis and study of the history of identified areas on the ground. • Funds of around $ 10 Million to $ 50 Million (Rs 450 Crore to Rs 2500 Crore or more) are eventually anticipated for this enterprise. • This large amount of funds essential for the enterprise would be procured from Venture Capital (VC) after operating a profit-making FPU in Madhubani district of North Bihar over three yrs. 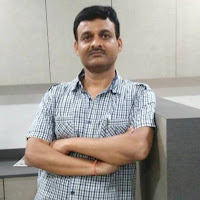 • I, Arun Kumar Jha (presently 37 yrs of age), have physically visited the offices of many VC firms in Mumbai and Pune and have gained considerable insight into their functioning and requirements. I realise that any amount of funds – for the proper plans – can be procured from VCs in these times. I can confidently claim that I can procure the funds (of the manageable amount) for this enterprise after physically operating a profit-making FPU headquartered in my house in Madhubani city in North Bihar. • After the Decision-Making Board has been formed; I, Arun Kumar Jha (then 41 yrs), would operate the first FPU of the enterprise from my house in Madhubani city in North Bihar. The Marketing of the products of this FPU would be coordinated over Internet. The possible product of the first FPU of the BPFP Enterprises will be evolved by that time.